He was a great help, though. 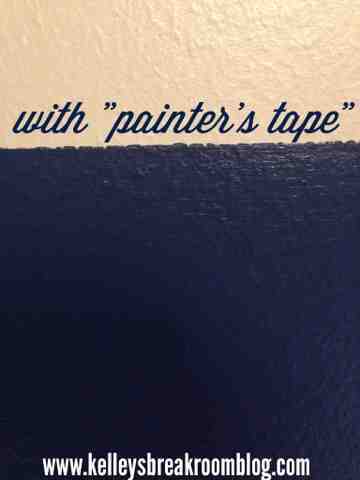 Trying to convert my 8-year-old’s room from hot pink to tan and navy would have been hard to do alone. Besides the constant “Jason Seaver” name dropping, he was really quite handy at helping de-Pepto Bismolize my son’s room. 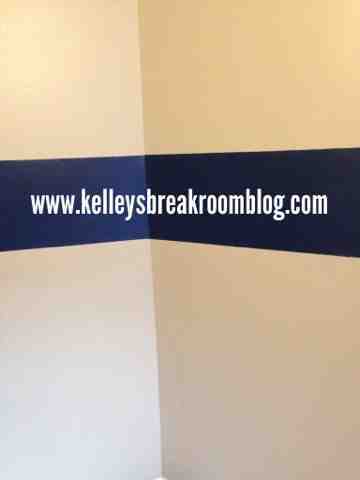 Where we ran into trouble was with the stripe I was painting all around the room. 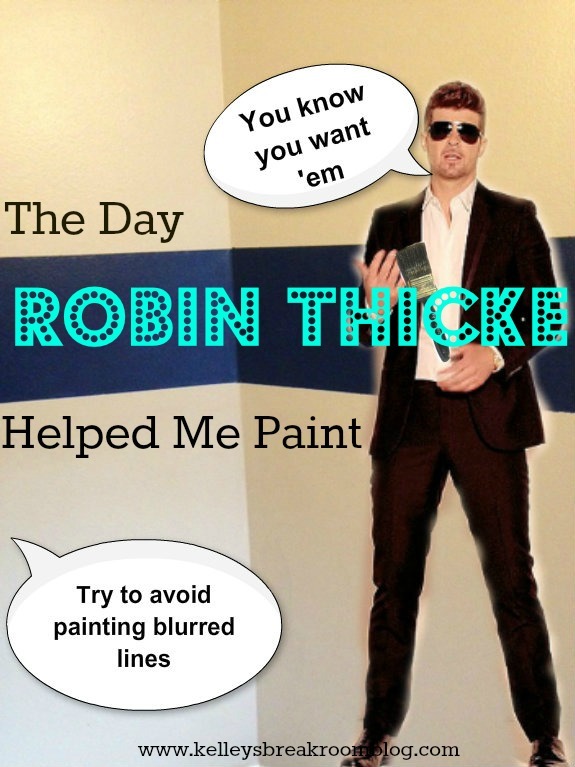 This was difficult for Robin to get right and I think this was primarily due to the fact that he never let up on singing “Blurred Lines”. I’d tell him, “Hey, could you quit singing that song? I hear it on the radio constantly” to which he’d reply, “You know want it”. He’d sing it all deep-like and stuff. The truth is, I would have wanted it if it hadn’t affected his painting. I had to resort to showing him pictures to prove my point and to keep him focused. Here was the first one I put in front of his face, complete with labels and everything. Then I showed him this picture to try to calm him down and prove my point. 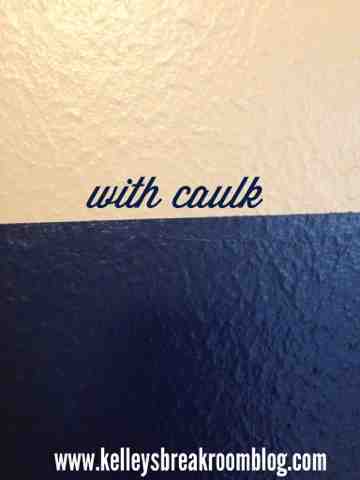 My two boys (8 and 5) smeared the paintable caulk after I placed dots of it around the room. They liked being a part of the project and I liked the help. 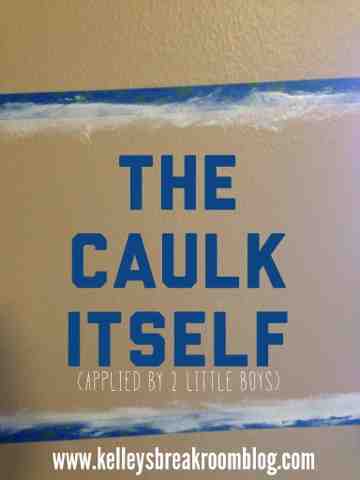 It got a little messy, but I knew I was going to paint over it, so I didn’t worry. Also, Robin clearly needed the help and his entourage was too lazy. And that’s a good thang.